We’re back! This episode we’re talking about Murder Party from 2007. We also give you the next installment of horror trivia. Who has to take the deuce? Listen to find out. We’re finally back folks! This episode Crystal Eyes and Mike are talking about The Janitor from 2003. We’re back… New month… new holiday! 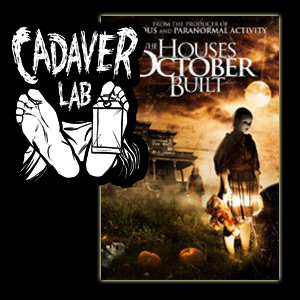 This episode we’re talking about 2011’s A Cadaver Christmas. We have Horror Movie Trivia and, of course, shenanigans… Enjoy!